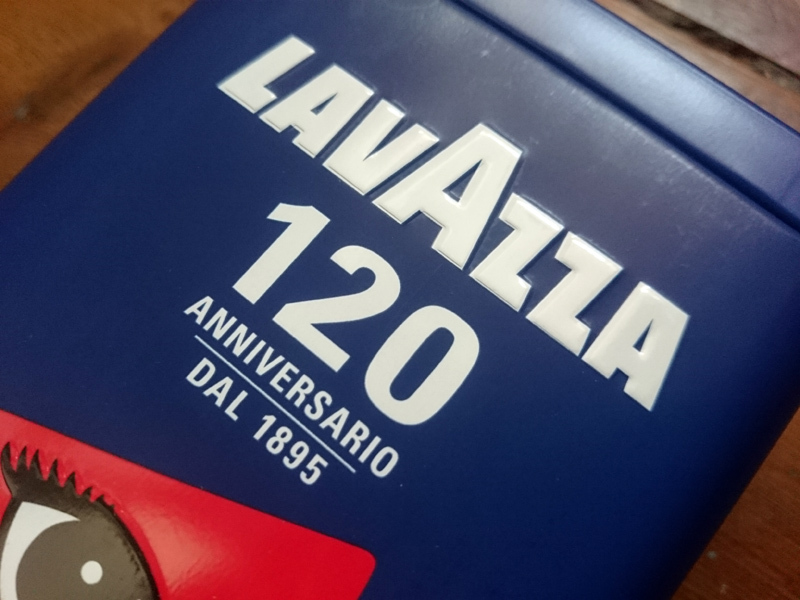 Where food/drink and design meet is a pretty sweet point for me and the Lavazza 120 year anniversary tins are just delightful things to own. They echo classic Italian advertising graphics of the 40s and 50s. 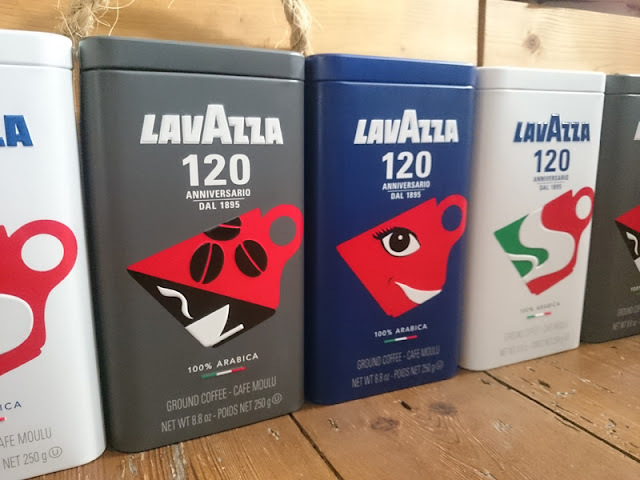 Each of the designs draw on Lavazza's past - the stylised coffee cup on the blue tin is reminiscent of the Qualità Rossa advertisement from the Seventies, the grey tin shows a revamped version of Lavazza’s first institutional 1946 logo and the white tin is a reworking of one of the historical symbols of the Lavazza brand: the steaming coffee cup, previously used in cafés. Lavazza were kind enough to send me the full set, and they contain a special blend of Brazilian Arabica coffee, to commemorate the anniversary. My family have been drinking Lavazza for as long as I can remember, certainly waaaaaaaaayyyyy before coffee became a “lifestyle choice” and before people who served coffee became "man bunned and sockless" (God, I love this article). 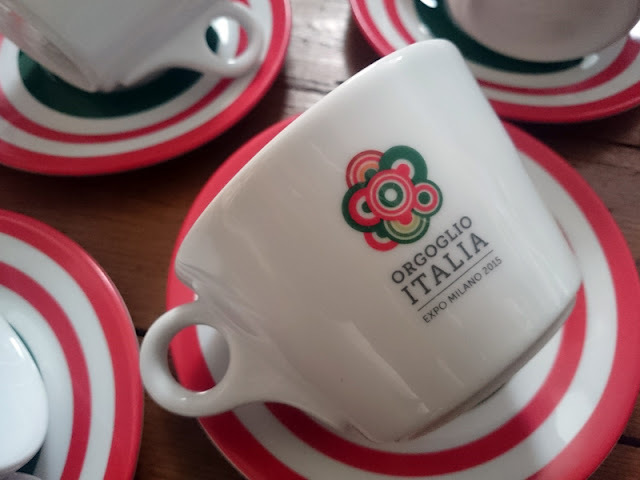 I even remember my parents packing it into their suitcases on their return from visiting our family village (after dropping off boxes of PT tips to the Italians!). Italians also use coffee in their desserts a lot, and not just for tiramisu. Lavazza have a lot of inventive recipes on the site including coffee cheesecake with honey jelly, espresso granita with ricotta cream or a morning barley cake. The drink recipes (hot, cold and cocktails) are also pretty good, I mean, who doesn't want to offer their guest an after dinner shakerato? Make an espresso and add sugar. Place the ice, sweetened coffee, vodka and Frangelico in the shaker. Shake well and pour the contents into a martini glass. 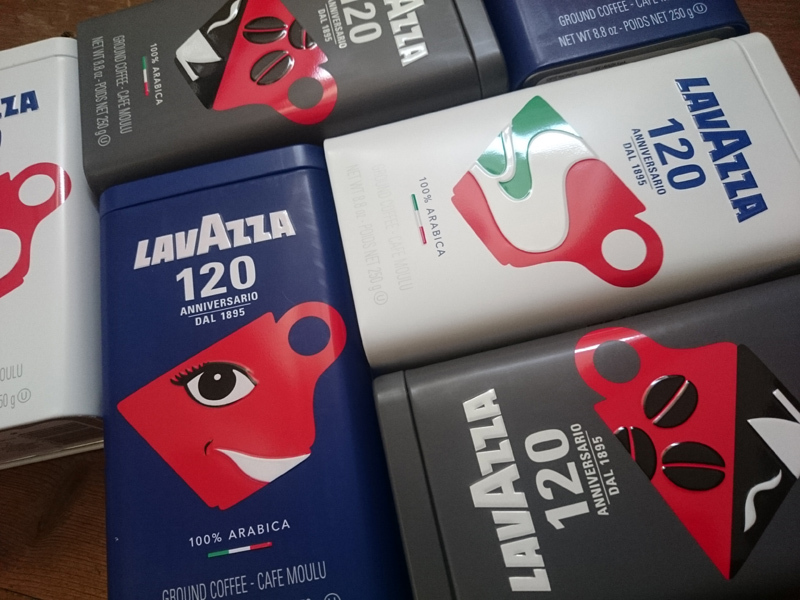 Thanks to Lavazza for the set.